To activate students’ prior knowledge of the slave trade and its causes and results. 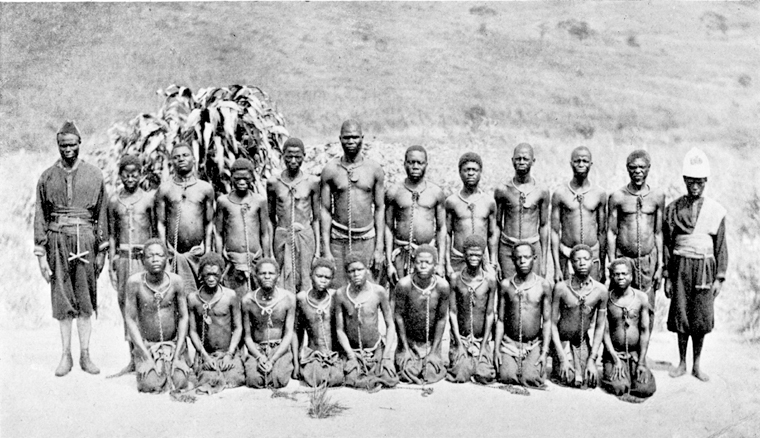 Prisoners in the Congo Free State. Photo Credit: In Motion, The African-American Migration Experience. Show images from the era of the Atlantic Slave Trade and ask students to guess what the next activity is going to be. Then open with the following questions. How long has slavery existed for? 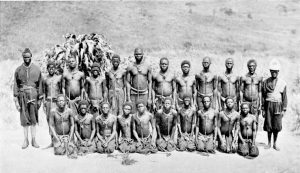 How did Europeans contribute to the African slave trade? Where did they bring the slaves and why? What did they need slaves for? Ask students to guess where most slaves were brought. Then play the video and see if they were correct. Check students predictions as a class. Explain that more slaves were brought to Brazil and the Caribbean than to the USA. African culture and food still plays a big role in those countries. Ask students to justify the position they have given each group. Some people say that the Irish were slaves too when they went to America? But are they right? Invite your students to do their own research into the meme of the Irish slaves (a meme often spread by right-wing and alt-right accounts on the Internet). In particular direct them to the work done by historian Liam Hogan – particularly his threads on Twitter. Invite them to put together a twitter thread (in Spanish/English) on a subject that is important to them.